Mother’s Day and Father’s Day appear to be handled slightly differently. Mother’s Day is full of pink and flowers, and tears. 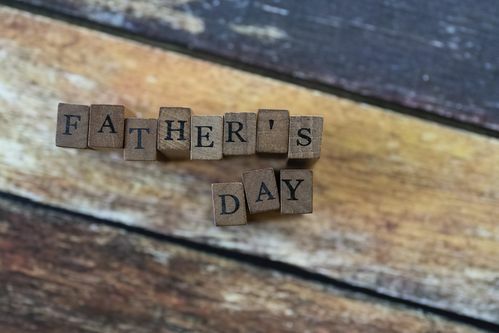 Father’s Day has lots of directives and barbecues. The roles of mother and father are so critical in a child’s life. However, sadly many children are growing up without one or both of their parents. Whether it be divorce, wedlock, prison, detachment, alcohol, drugs, or death, many children today will not witness their parents in a healthy relationship. I was thinking about this last night. Mother’s Day has always been a time to be sad for the motherless. But what about the fatherless? Do we shed a tear for them, too? There is something special about a mom, yes, but there is something almost unexplainable about a dad. Dads are the ones who are supposed to provide for and protect their families. They are expected to be the strong foundation for their family. For me, Father’s Day is a sad reminder that I didn’t know my dad. I’m not alone in missing and grieving the loss of a father. My dad left when I was two years old. I never saw him again until I was twenty years old, and even then, I only saw him for a few days. He has since passed away. I never knew him personally, and I knew very little about him. Half of what made me who I am was missing from my life. My mom remarried, and I had a step-dad, but that deep sense of abandonment and wondering messed with my mind and my soul. It took me many years to figure out the only thing that could fill that void in my heart. I yearned for love and security, but honestly, I didn’t even know what love and security looked like because I had not seen it modeled. I didn’t look to God as my perfect Father because no one had ever presented God to me in that light. To the fatherless, I want you to know that despite who your earthly father is or what he has done, you have a Father in heaven who loves you, cares for you, protects you, and is your sure foundation. He’s not a father who will leave you, turn his back on you, seek out pleasures over his responsibilities, and he is not dysfunctional and wracked with his own troubles. He is God. He is the great I Am. He has loved you and known you before your earthly parents knew you existed. Jesus cried out to God in His moment of desperation, “Abba, Father, ” he cried out, ‘everything is possible for you’” (Mark 14:36). Jesus said everything is possible for God. This "everything" includes being your Father if you will allow Him. He offers you salvation and adoption into His family through believing in His Son, Jesus. Call upon His name (Romans 10:13). At that moment, you become His child, and He becomes your Father (Galatians 4:6). Though you have no earthly father, you will have a heavenly Father who is best. No earthly father even comes close to measuring up to the goodness of God. None. To those who are fatherless, but have accepted the love of the Father and been adopted by Him, love on the fatherless who are hurting and grieving today. Show them love. Lead them to the Father. Step in and foster them until their adoption is final. We can become a nation, and a world, who is no longer fatherless only if we look to the Father.